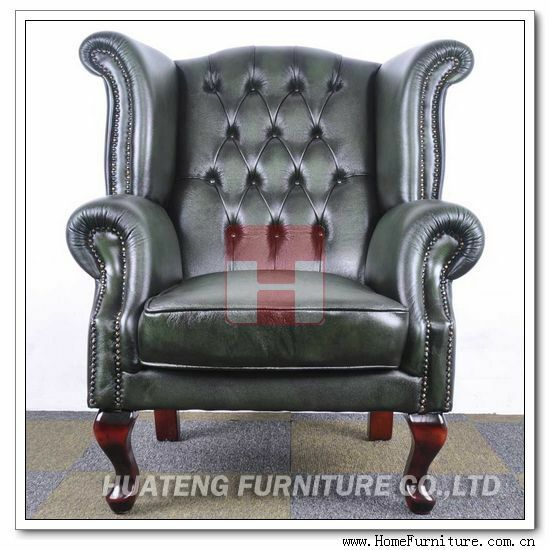 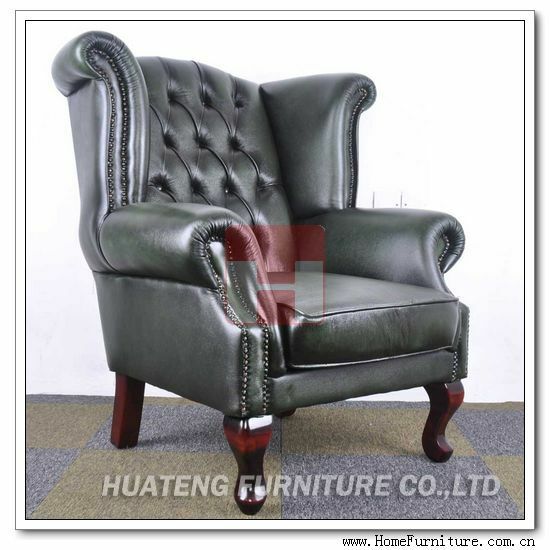 The wing back chair is an symbol of the chesterfield series. 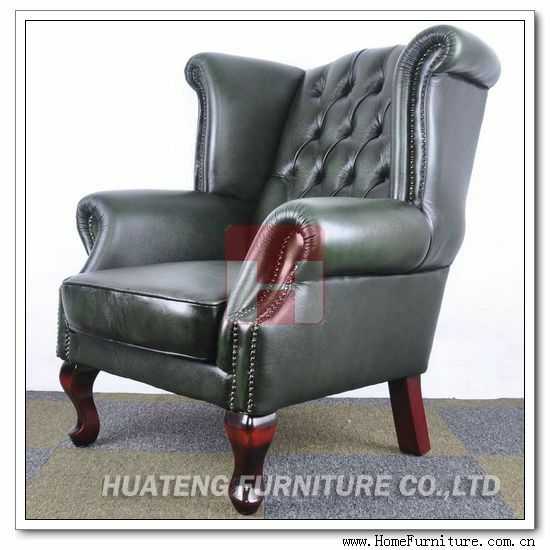 Featuring solid wood legs, firm button surrounding and high density foam cushion, this chair shows a royal appearance with elegance and leisure. 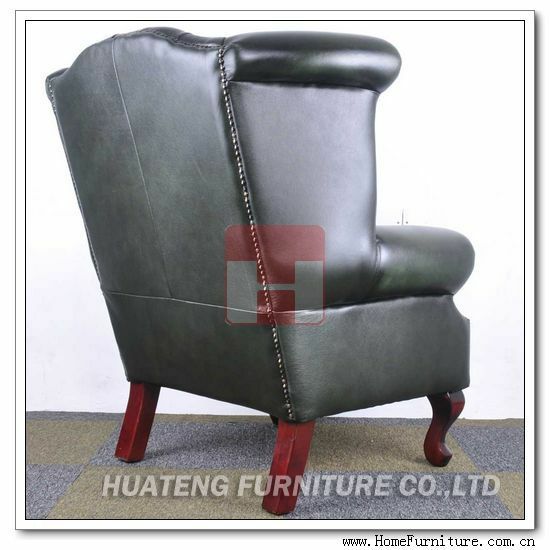 The wing chair and ottoman with big seating capacity gives a relaxed posture of every seating position. 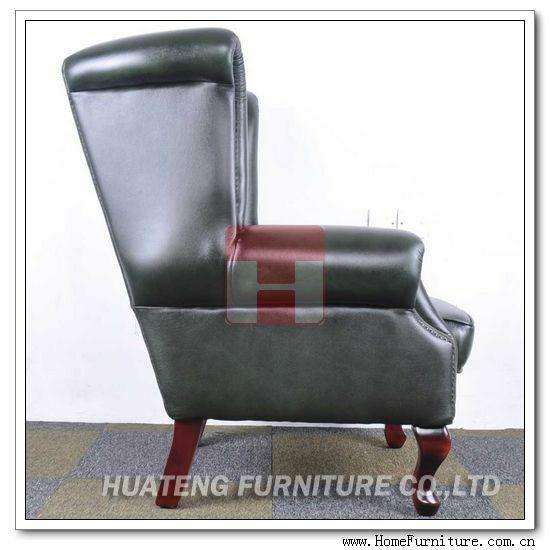 The commercial quality frames and no-sag high density foam ensure long-term comfort support and performance. 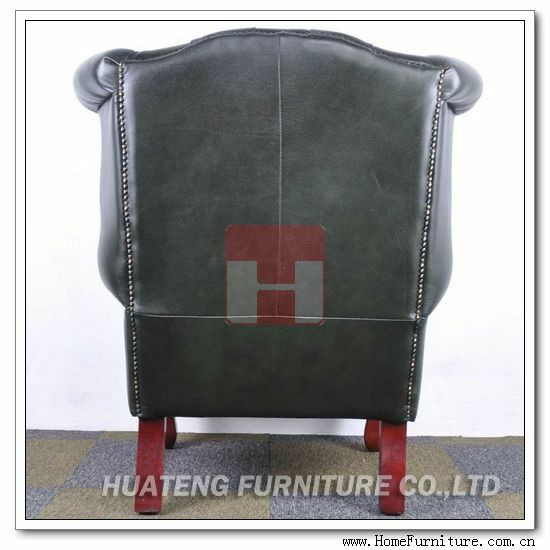 Material: Solid wooden frame with half/full Brazil leather covered, high density foam inner.